Even though Home school Science is an area in which I do not feel very strong at all, I do not think that it needs to necessarily be difficult to teach. I also believe that the aims of teaching Science are very simple, and yet far-reaching. The aim, I believe, in teaching Science is to strike awe in the hearts of our children for the Almighty, powerful God. 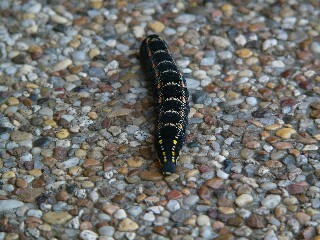 As we study the created world, we see a God of infinite beauty, order, detail and interesting design. Science is simply seeing how wonderful God is. If that is what we pass on to our children, in the early years, I believe we have fulfilled the task. In Romans 1 we read that no man has an excuse for not knowing God for His evidence is clearly seen in all that is created. As we study, observe, read, experiment, and enjoy his world, we should be left in awe of our God. As I think this area through I have identified four ways in which Science can be taught and how you can design your own homeschool science curriculum. These are really quite easy to implement and so I begin. Kids Science Experiments ............ Now... check out what my kids are doing! Easy... Just look and observe. Charlotte Mason would call this: Nature walks. I dont know why what sounds so easy, for me is hard to do. I think it is time. If we say this is important, we should prioritize this. It can be as simple as walking the block every day. At times, we have walked the block and we have chosen a tree/bush each and observed it every time we passed by. That was great to do  because each child was taking special notice of what the plant was doing through the seasons. It can also be done in your own yard. The important thing to do is to take the time, observe and take notes as to what you have seen. During the walk, the children should learn to take mental pictures. (Stop and look as far as you can see. Now, close your eyes and tell me everything that was in your picture).The children should also collect specimens  leaves, insects, flowers, twigs, rocks. Once you are home, you can display these specimens, classify them and learn to use field guides. Nature Journaling can be as simple or complicated as you choose. Inspire others with a great Science Project idea at the Homeschool Gallery. -work according to seasons; add details of one selected plant and take notes of it through all the seasons. Why not add your nature finds to the On-line Nature Journal? My favourite Nature Journaling resource is Keeping a Nature Journal by Clare Leslie and Charles Roth. This book is beautifully presented and gives tips through the whole book and helps you, "Discover a Whole New Way of Seeing the World Around You." It teaches you to journal through the seasons with examples of journal entries. Here's some more information on Nature Journaling and Keeping a Nature Journal. Reading aloud is the best home school experience you can give your children. Reading in any subject area increases vocabulary; reading in Science increases our childs scientific vocabulary in its context. We need to be careful when we choose what to read. Avoid dry lifeless books. Include both fiction and non-fiction. We can learn a lot about nature and also learn care for nature as we read worthwhile literature which brings the reader in tune with nature and develops a love for beauty. What can we read in Home school Science? The ruby-throated hummingbird, yellow-rumped warbler, little brown bat, spicebush swallowtail butterfly, Mexican bean beetle, common honeybee---they all have wings, and you'll find them here in this lavishly illustrated elementary science curriculum. Using the Charlotte Mason approach, 14 lessons include notebook activities, special projects, and hands-on experiments to teach kids about birds, bugs, bees, beetles, butterflies, and more. 240 pages, hardcover. Introduce your young naturalists to plants---their structure, propagation, classification, and more---with this engaging yearlong classical science curriculum. Influenced by Charlotte Mason and the living books philosophy, homeschooling mother Jeannie Fulbright writes as if she were chatting with her own children, defining and explaining at their comprehension level. 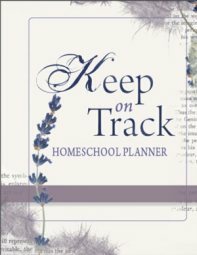 Designed to be used with both readers and non-readers, each clearly organized lesson features content-rich narration; notebooking; and hands-on activities and projects using easy-to-find household items. Dissect seeds, force bulbs, make leaf skeletons---and take a close-up look at God's flora kingdom. Grades K to 6. 176 pages, hardcover. 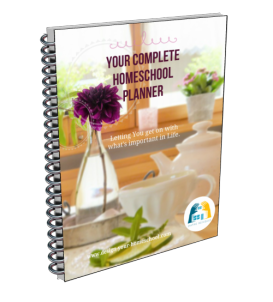 Find more home school science teacher resources and homeschool science curriculum here! Now... check out what my kids are doing! - their cool science experiment page is here! Ask a question- identify the problem. Seek to find the answer  investigate the problem. Form a hypothesis- a tentative answer to the question. Observe and experiment to discover if the hypothesis is correct  answer the question. Continue to explore- gather information, observe, and experiment to test the solution in light of any new conclusions. One of the best ways to really encourage a love for science is to begin with a bunch of exciting science experiments. As the comments come, "Oh", "Ah! ", "Cool! ", the questions will follow: "Why did that happen?" "Would it work if I ....?" The experiment helps to whet their appetite for reading and researching. So using kids science experiments is a crucial part of a Homeschool Science Curriculum. Read more about kids science experiments here and try out a great range of easy science experiments here. Or watch an instructional video as you learn and do your own experiments. Easy Science experiments are a way in which they can use their scientific skills to grapple with a problem and work through it. 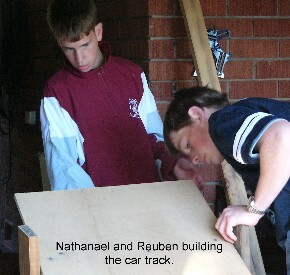 There are wonderful science websites explaining these type of hands-on-projects. 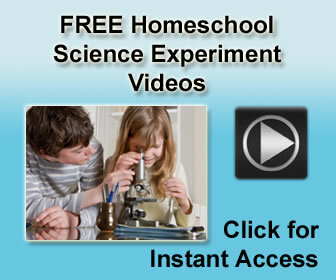 Click on the video image and choose a free science experiment you can watch from the easy-science-experiments page. Projects can also be in the form of design. What would be useful around our home? Can we build it? Can we improve a system? Can we build a bird feeder? Involve your children in the daily running of the home and help them to sort out real-life problems. Installing a water tank, re-cycling water, gardening, hydroponics, building shelves, and so on. These real situations involve a huge amount of real learning - measuring, calculating, slope, angle, positioning, and encourages the children to develop all sorts of problem skills. 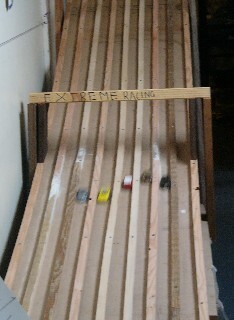 We loved creating this car track and use it for parties and church events. Even the Dads love to compete and spend time oiling and adjusting their matchbox car for the least resistance. Not only Science, but heaps of fun! Notebooking is a way of keeping records of what you are reading and learning about. After a Science reading, I ask my children to narrate (tell back) to me what they have learned. Then they draw a picture about it. In a Home school Science notebook, you can add narrations, drawings, and details of simple science projects and experiments  drawings and steps. This helps to consolidate all that has been read and learned. In the Highschool years, part of your Homeschool Science Curriculum can be a Science File to take notes, write definitions, record experiments, and write essays on scientists and so on. Science History can also be studied within a history program. You can study the scientists of the time, explore their theories and their contribution to the world at that time. There are a number of exciting biographies which make the life of the scientist come alive. Why Cool Science Experiments are important?